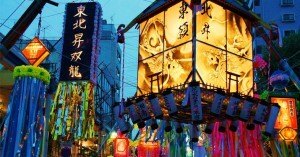 Despite the sweltering heat, summer is an exciting season in Japan. 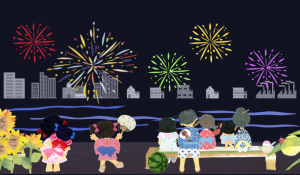 From catching gigantic beetles and tuning in to the cicadas’ last song, ?to relaxing on the beach digging into a kakigori (shaved ice flavored with syrup), it wouldn’t be a Japanese summer without watching a display of fireworks and attending a Tanabata Matsuri (Star Festival). What better way to cool off from a summer’s day of sticky, muggy heat than to attend these events in the cool evening. The listing is given in chronological order. In its 65th year, Hiratsuka?? 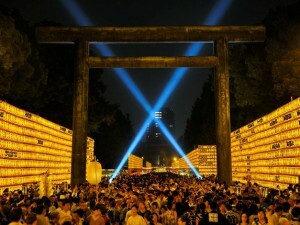 ?s Tanabata is the biggest in the Kanto region. 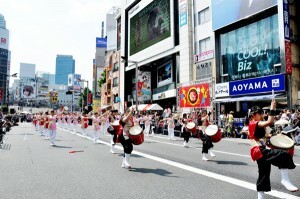 The colourful festivities will be centered around the shopping street on the north side of Hiratsuka station. The official event will continue until 9pm on Friday and Saturday and until 8pm on Sunday. 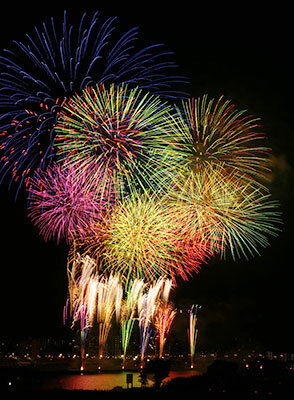 This year will be the 37th edition of the Annual Adachi Fireworks Festival, where 12,000 fireworks will go off from 7:30-8:30pm. 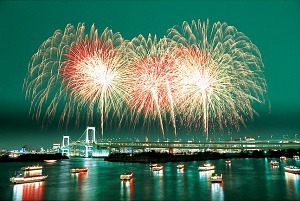 The festival will be held along the Arakawa River ? 15 minutes from Kita-Senju Station. Pack a picnic and find a spot on the river banks ? the display is visible from a variety of vantage points. The show lasts for an hour. 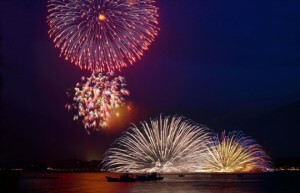 The 67th Kamakura Fireworks Festival takes place at Yuigahama on the coast of Kamakura City from 7:20pm-8:10pm on Thurs, Jul 23rd. 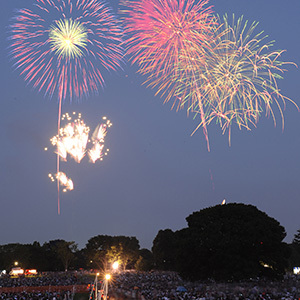 The Tachikawa Showa Kinen Park Fireworks Festival will see 5,000 fireworks launched, making it a medium-sized festival by Tokyo standards. About 300 000 people attend. Expect lots of yukata and picnic baskets ? it?? ?s a nice idea to bring dinner and make an evening of it. Entrance to the park is entirely free after 6:00pm but if you paid the entrance fee to the park earlier in the day, you?? ?d get a better viewing spot, the organisers say (over 15?? ?s: 410 yen; under 15?? ?s: 80 yen). Apparently it gets crowded around 5:00pm. Welcome to Living in Tokyo Blogsite! Copyright © Leading Japan real estate agent in Tokyo | Apartment for Rent All Rights Reserved.